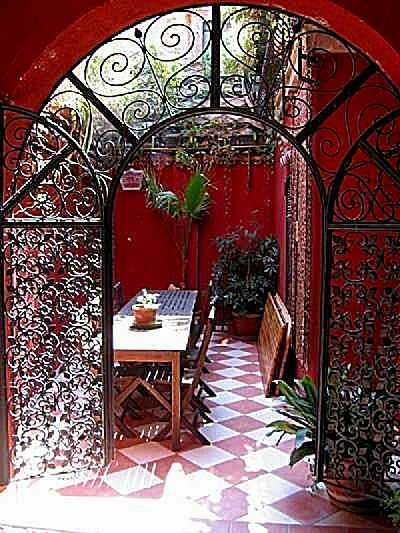 This Venetian bed and breakfast is located in a newly restored 12th century house in the Castello district of Venice. There are three double bedrooms available to rent and guests are also welcome to enjoy the small garden, large terrace and large living room. The neighborhood is one of the most enjoyable in Venice. Ca del Cinema is located in one of the last unspoiled residential areas of the City: San Francesco della Vigna in Castello. Though no more than a 10-15 minute walk from the most famous attractions in Venice – Saint Mark's Square, the Rialto Bridge, the Biennale Gardens and the Arsenale – guests here enjoy staying in a neighborhood rich in authentic Venetian lifestyle. Ca del Cinema has three newly-furnished, comfortable rooms available. Each room in equipped with air conditioning and a private bath. And, there is WiFi available throughout the house. Most fixtures in the house are original Murano glass from the owners' extensive collection. Ca de Cinemal is in the perfect location for both exploring Venice and enjoying the true Venetian lifestyle. Though only a few minutes walk from the major sites of the city, near the house you will find wine shops, bakeries, vegatable stands and excellent restaurants. Ca del Cinema is a newly-opened Bed and Breakfast in the Castello district of Venice. We can be reached within one hour from Marco Polo Airport or 40 minutes from Venice Santa Lucia Station or Piazzale Roma. The nearest boat stop is "Celestia", from which are less than five minutes walk. Specific directions to the house will be provided upon booking. All guests will be given keys to the house in order that they may come and go as they please. There will be coffee and tea available to you in the living room. A continental breakfast is served every morning from 8 to 10 AM. Ask them anything! Your hosts a Ca del Cinema can arrange numerous activities for you to enjoy in Venice including gondola rides, show and concert tickets, and guided city tours. Staying at Ca del Cinema makes a visit to the famous glass masters' island of Murano an absolute must! 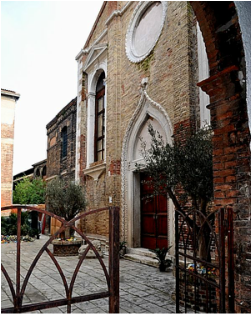 Your hosts are the owners of the Ex Chiesa Santa Chiara on Murano, a medieval church which they have spent three years restoring and are currently reopening to public as a museum, event space and shopping destination for authentic Murano glass. Your hosts personal attention during your visit to Murano. Learn more about the Ex Chiesa Santa Chiara Murano Glass Experienice on their website: www.experiencemuranoglass.com.